We’re updating the user-agent string so that our renderer can better understand pages that use newer web technologies. Our renderer evolves over time and the user-agent string indicates that that it is becoming more similar to Chrome than Safari. To make sure your site can be viewed properly by a wide range of users and browsers, we recommend using feature detection and progressive enhancement. Our evaluation suggests that this user-agent change should have no effect on 99% of sites. The most common reason a site might be affected is if it specifically looks for a particular Googlebot user-agent string. User-agent sniffing for Googlebot is not recommended and is considered to be a form of cloaking. Googlebot should be treated like any other browser. If you believe your site may be affected by this update, we recommend checking your site with the Fetch and Render Tool in Search Console (which has been updated with the new user-agent string) or by changing the user-agent string in Developer Tools in your browser (for example, via Chrome Device Mode). If you have any questions, we’re always happy to answer them in our Webmaster help forums. 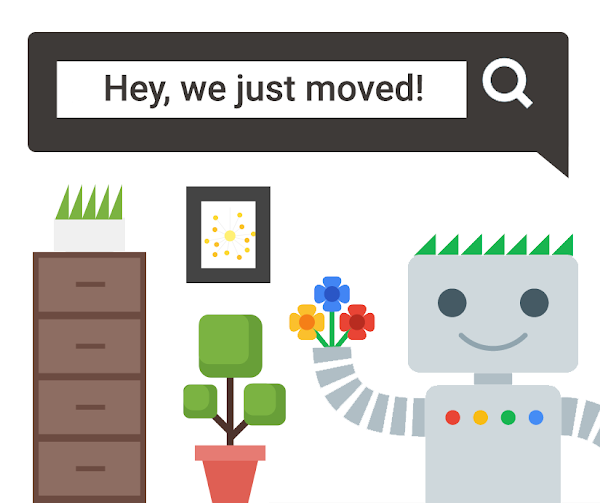 You may have noticed the Google Webmaster Central blog has a new address: webmasters.googleblog.com. That’s because starting today, Google is moving its blogs to a new domain to help people recognize when they’re reading an official blog from Google. These changes will roll out to all of Google’s blogs over time. The previous address will redirect to the new domain, so your bookmarks and links will continue to work. Unfortunately, as with a custom domain change in Blogger, the Google+ comments on the blogs have been reset. Thanks as always for reading—we’ll see you here again soon at webmasters.googleblog.com! (AMP) is a global, industry-wide initiative, with publishers large and small all focused on the same goal: a better, faster mobile web. We’ve had a great response to our English language AMP office hours, but we know that English isn’t everyone’s native language. For the next two weeks, we’re rolling out a new series of office hours in French, Italian, German, Spanish, Brazilian Portuguese, Russian, Japanese, and Indonesian and invite everyone to learn about AMP in their native language. Product Managers, Technical Managers, & Engineers at Google, will get to speak in their native tongue, and answer any questions you may have on AMP. First we will reintroduce you to AMP and how it works, before diving into the technical specs and various components of AMP. You can add your questions via the Q and A app on the event pages below, and we will answer them during the office hours. You can also watch them on the News Lab YouTube page after the event. Check out the lineup below and join the discussion. Accelerated Mobile Pages (AMP) is a global, industry-wide initiative, with publishers large and small all focused on the same goal: a better, faster mobile web.